SaugusSpeedway.net | Saugus Speedway Scrapbook 1979-1995 by Harold Osmer & Lyn Pherigo (Complete). By Harold Osmer and Lyn Pherigo. ©2001 Harold Osmer Publishing, P.O. Box 4741, Chatsworth, CA 91313. Harold Osmer is an award-winning author of three books devoted to Southern California auto racing history. His classic "Where They Raced" is a prime reference in the historical significance of this sport. The Saugus Speedway Archive literally fell into Harold's truck one night as one man's wife decided that another man should handle the treasure. Combined with various other private collections, the Archive has grown to over 10,000 photos, hundreds of programs, and dozens of Saugus Speedway racing artifacts. Harold is a recognized authority on Southern California auto racing history and readily shares his knowledge through public appearances, presentations, and as a guest on regional radio talk shows. Harold's research and writings are widely quoted. Along with being a self-published author, Harold Osmer is a stay-at-home father of two, karate instructor, and feature columnist. He and his trademark '51 Chevy pickup are regulars at local automotive events. Harold and Diane Osmer currently reside in Los Angeles. Leonard "Lyn" Pherigo came to Saugus Speedway in 1973. After serving five years as assistant announcer to Joe Vollkommer, Lyn became the track Publicity & Program Director. He assumed the track's concession duties a year later. His favorite task — and most visible — was that of driving the Saugus Speedway pace car at every event. 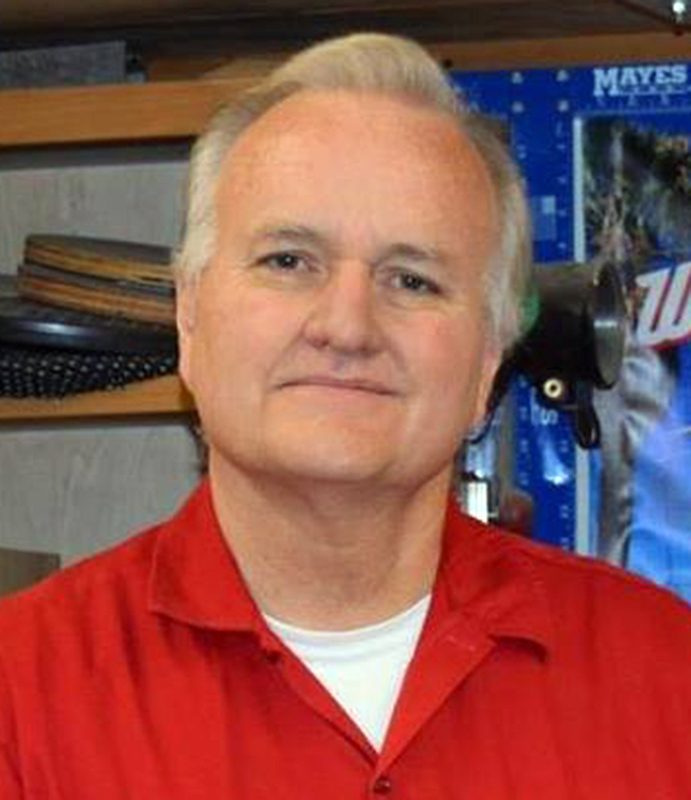 Lyn's many speedway accomplishments include publishing a weekly program for the fans, coordinating the 1982 Salute to Champions Night, and arranging Gabby Garrison's 70th birthday party. 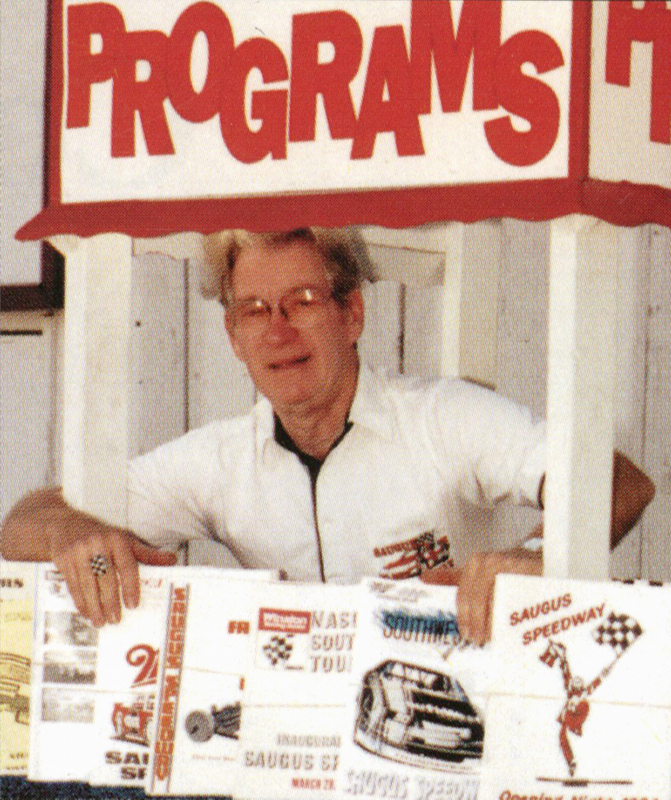 Lyn Pherigo created his 400th Saugus Speedway program in 1990 and resigned from his speedway duties at the end of that season. Lyn and Anne Pherigo currently reside in Whitehall, PA.
Lyn Pherigo died February 2, 2017, at his home in Oceanside, California.